ABCDEFG . . . Alphabet books for you and me! The alphabet. The basis for all we write and read. Let’s celebrate our letters! We can do it with rhyme, with nonsense, in quiet or noisy ways. Our letters tell many stories. Some wonderful books to celebrate the A, B, Cs! 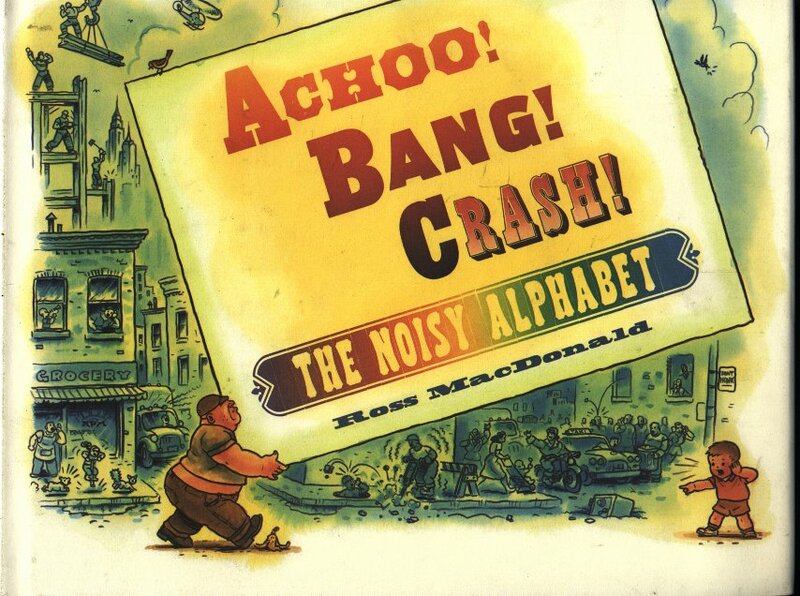 Noisy letters. Yippee! Wahoo! Ding Dang, Eeek, Fwip, Grunt, Honk Honk and on it goes. This book delivers our 26 letters marching across the pages with much exuberance and the aid of a vintage printing press. Noisy! But gorgeous! 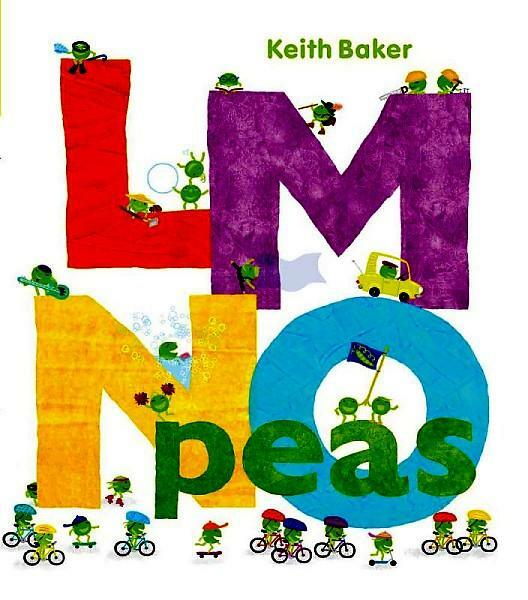 These little green peas inspire many different ideas for occupations. Painters. poets. plumbers, pilots, parachutists? That covers the “P”s! Want to guess the “S” occupations? Come on! 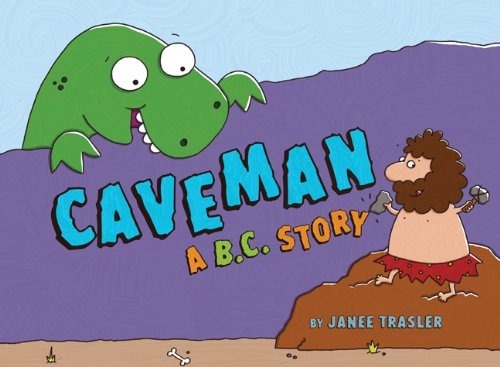 This is a great way to share this book as a read aloud! 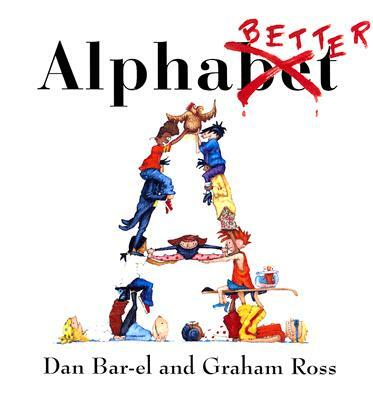 Alphabetter written by Dan Bar-el and illustrated by Graham Ross. This book invites the reader to do many things on each page. 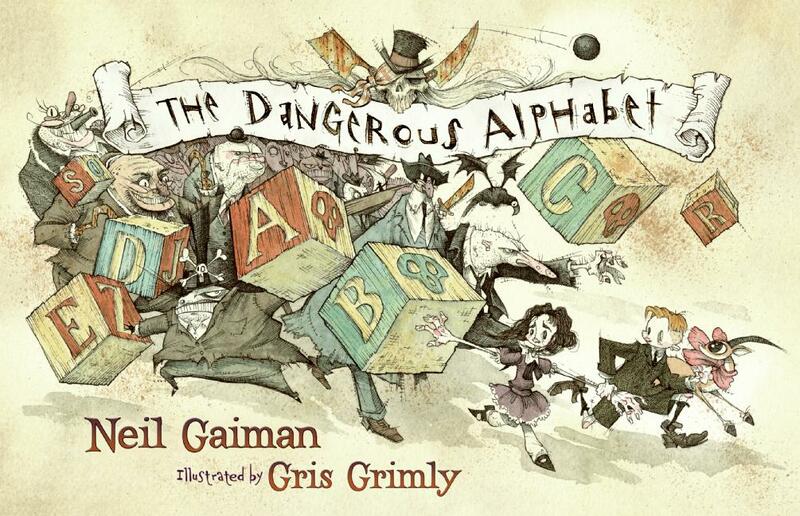 First, enjoy a story that weaves through letter by letter. 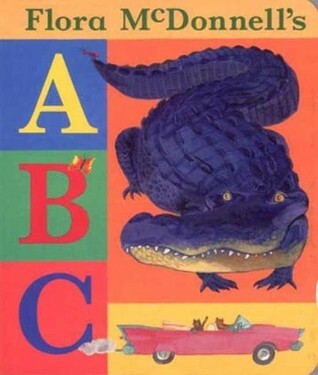 Alberto had an alligator, but he didn’t have a bathing suit. Benoit had a bathing suit, but he didn’t have a clarinet. 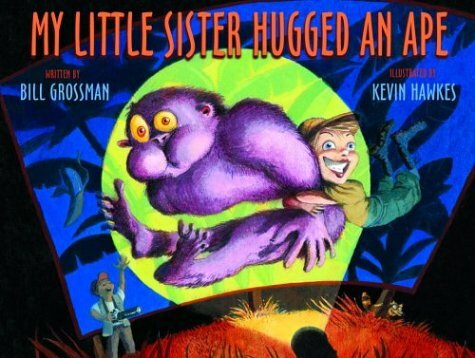 My Little Sister Hugged an Ape written by Bill Grossman and illustrated by Kevin Hawkes. Gripping my sister in eight different spots. And tangling themselves into eight different knots. Follow not just letters through the pages. This is is a superbly edgy journey through the land of adventure. Pirates. Monsters. Bats. Creepy tunnels by boat. Eyes are watching you. Will you make it to safety? Follow two children and their pet gazelle through a world beneath the city. Beautifully creepy. H is for “Help me!” – a cry, and a warning . . . 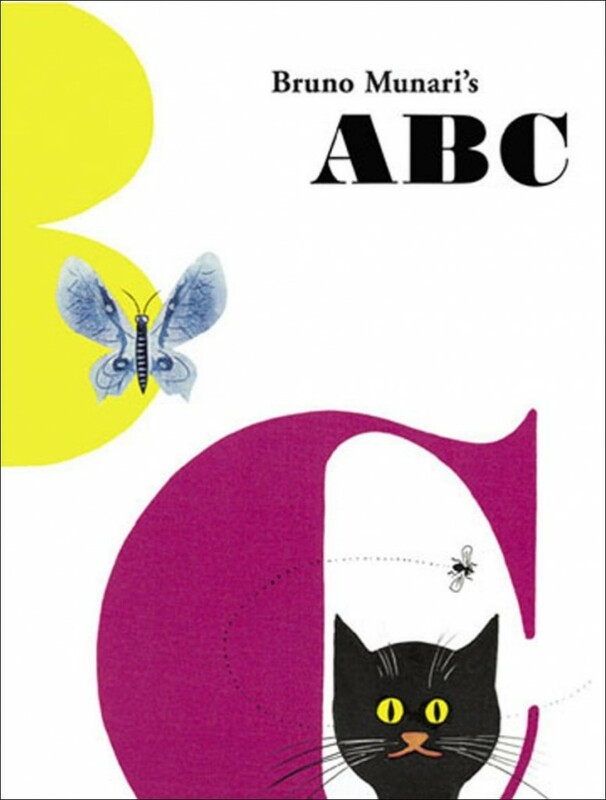 This book could be a very simple, run of the mill ABC book. B is for Ball, C is for Cat, etc. But. . . a very impatient moose cannot wait for his turn and M is very far away when we begin with A! 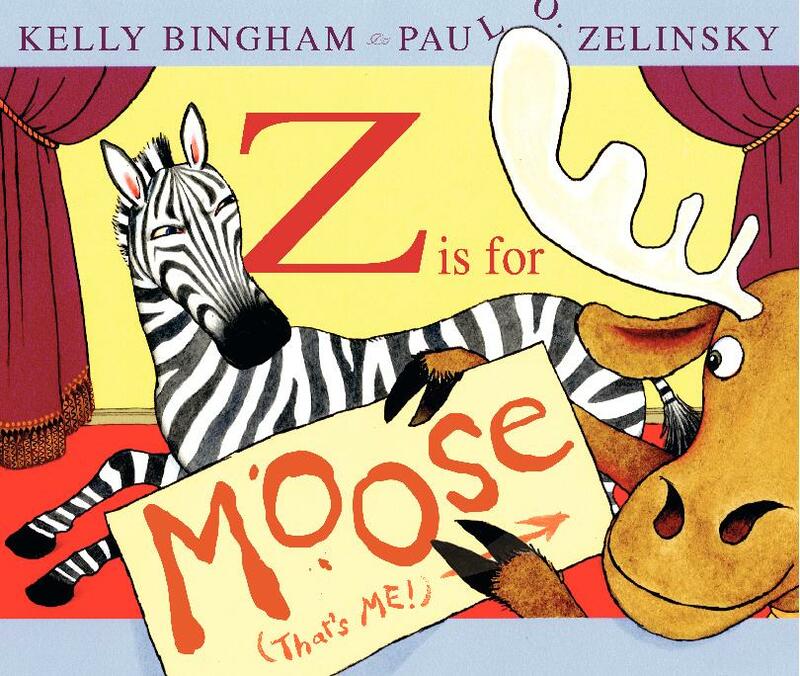 Full of moose mishaps, much humour and a lovely act of kindness. This is easily one of the most shared book during buddy reading time in my room. First published in 1960, travel through interesting pairings and graphically interesting pages. A piano, a Package, Peanuts, a Pear a Pea Pod for a . . . (turn the page) a Quail. A study in letters, opposites and clever pairings. Each page has 2 objects beginning with a specific letter. Some of my favourites? The large giant with a tiny red glove perched on his thumb, a regal tiger with a teapot balanced on his head and a rhinoceros sniffing at a radish. Bright, bold and beautiful. A hilarious tale told one word at a time in ABC order. Much humour and much to infer. 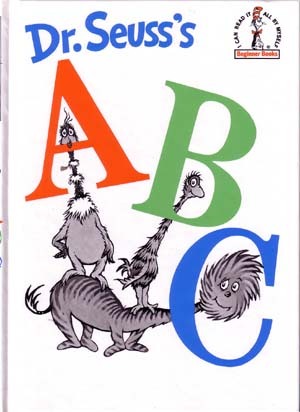 These books are not just for our children learning their letters. Read them right into the intermediate grades. They let us guess, wonder and delight in the magic of language – from one letter to long strands of text! Enjoy! This entry was posted in Uncategorized and tagged alphabet books, Bill Grossman, Bruno Munari, Dan Bar-el, Dr. Seuss, favourite illustrators, Flora McDonnell, Graham Ross, great read alouds, Gris Grimly, Janee Trasler, Keith Baker, Kelly Bingham, Kevin Hawkes, Neil Gaiman, Paul O. Zelinsky, picture books, rhyming text, Ross MacDonald by carriegelson. Bookmark the permalink.